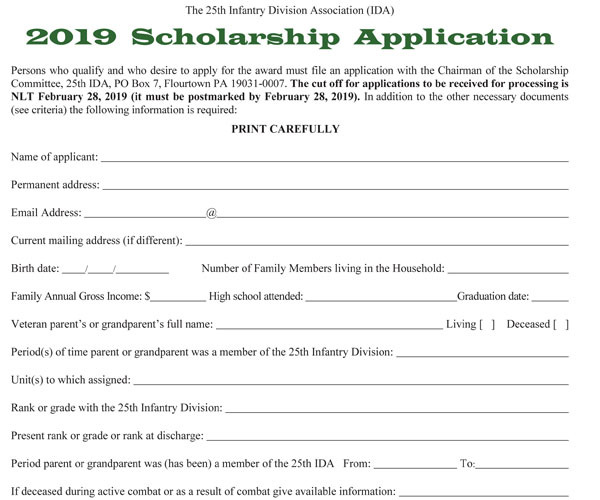 The 2019 25th IDA Scholarship Application is available as a downloadable PDF. It is also printed in the Fall issue of Tropic Lightning Flashes, the quarterly newsletter of the 25th Infantry Division Association, which is mailed automatically to all active members. The cut off for applications to be received for processing is not later than February 28, 2019 (i.e., it must be postmarked by February 28, 2019). 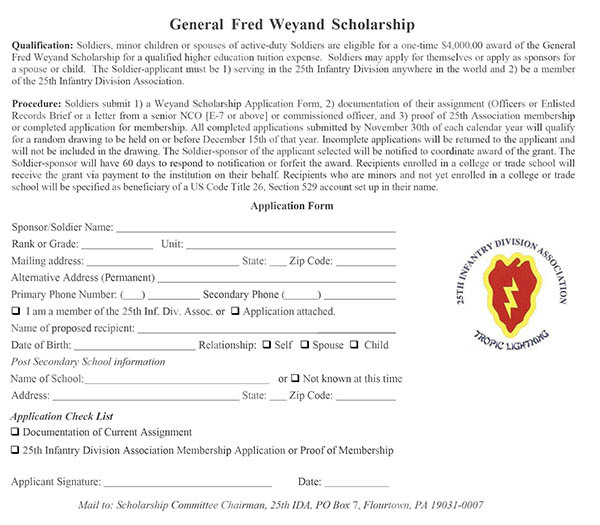 The General Fred Weyand Scholarship Application is available as a downloadable PDF. All completed applications submitted by November 30th of each calendar year will qualify for a random drawing to be held on or before December 15th of that year.